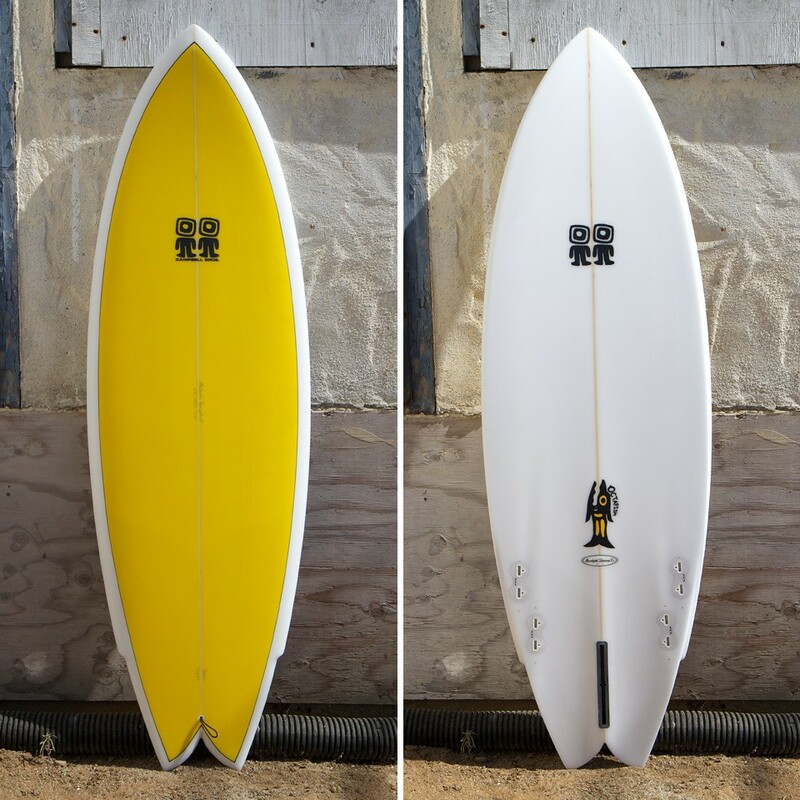 Campbell Brothers 5 fin Bonzer e-wing eggs surfboards are the real “speed eggs”. The deep double concaves work with the fin cluster as one functional system, efficiently organizing water flow. 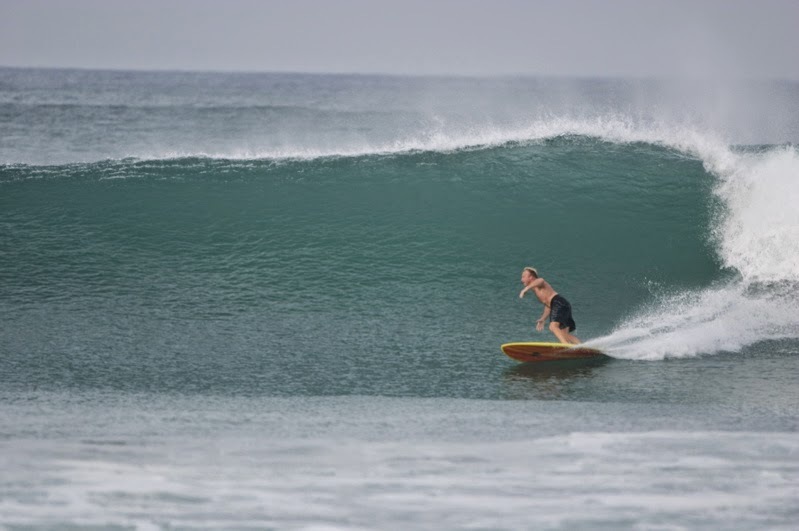 For some reason many speed eggs are slow, Bonzer eggs are designed to connect sections down the line and surf the wave as a complete whole, not in ticky tacky moments. 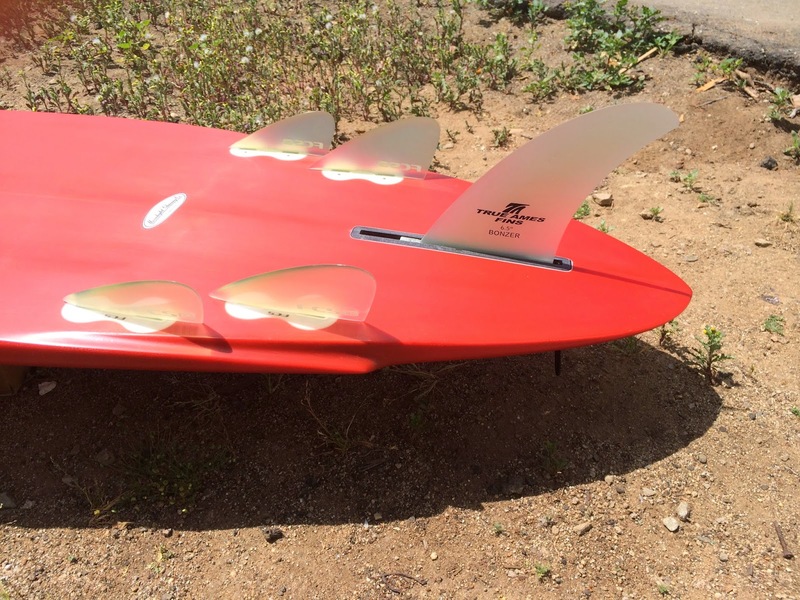 These Bonzer eggs incorporate Max McDonald’s Elevated Wing or E-Wing. 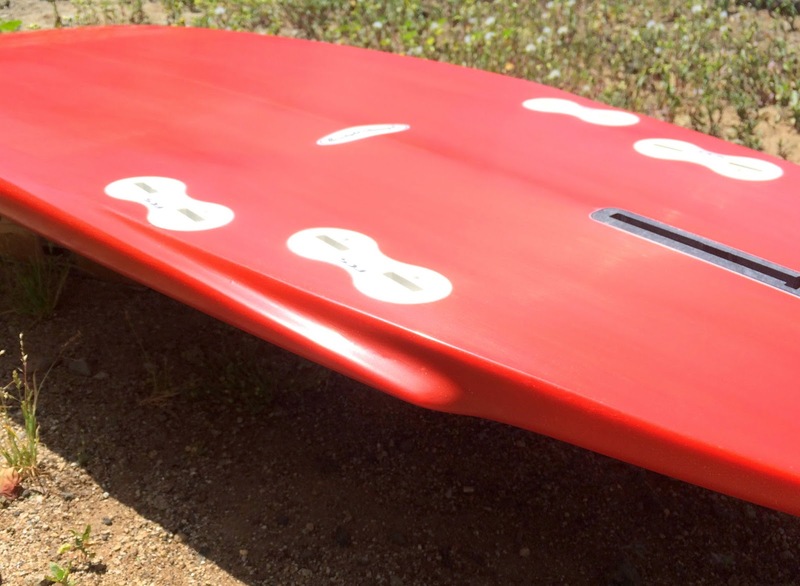 The e-wing gets you up and down the face of the wave more quickly and easily than a basic egg. 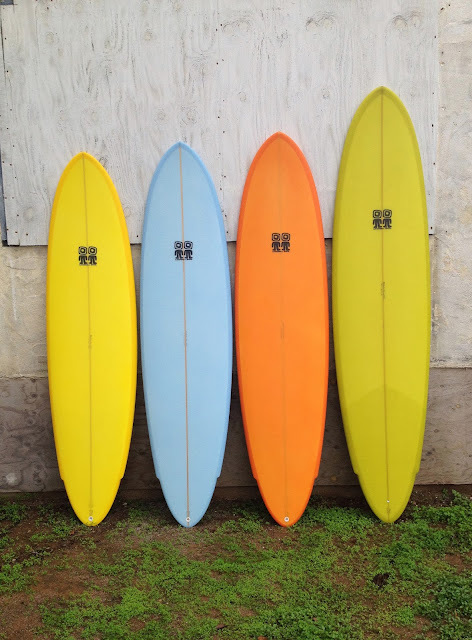 Built at the Moonlight/Christenson factory where the people making Bonzer surfboards ride Bonzer surfboards. 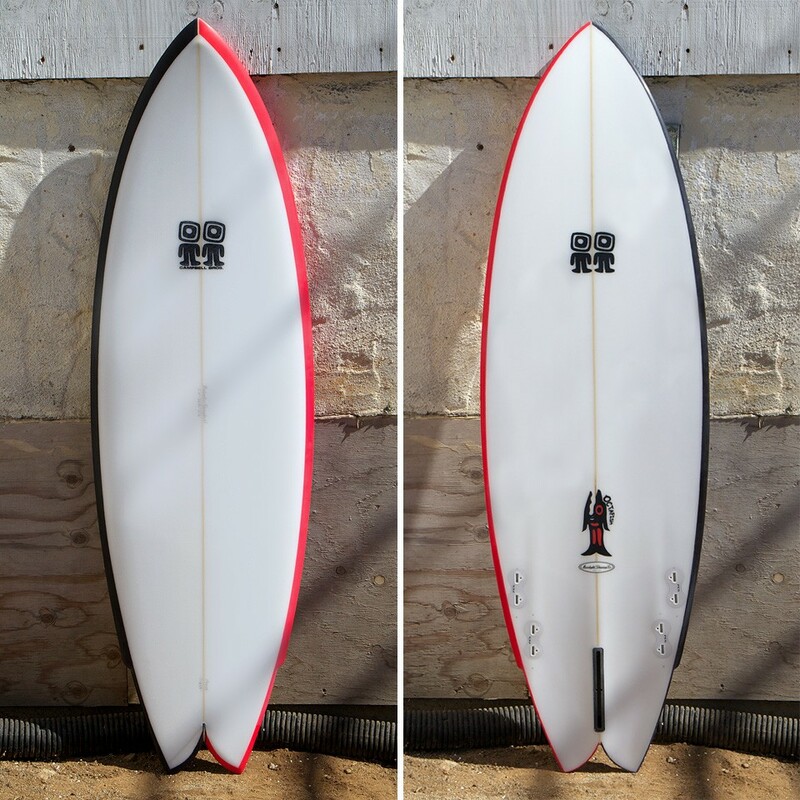 This nifty 5’8″ Campbell Bros 5 fin Bonzer Octafish is a stock board. Plant your back foot in line with the elevated wing and ZAP! The Octafish is notta Fish. Powered by the 5 fin Bonzer system the Octafish likes to get vertical and shreddy and isn’t afraid of hollow sections. 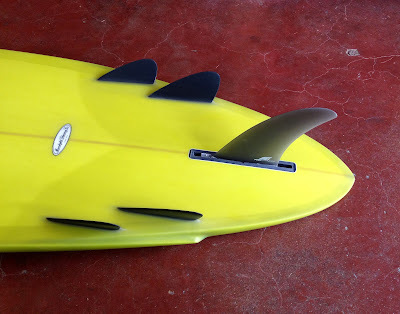 Plant your back foot in line with the elevated wing, putting you right above the fin cluster and concaves and off you go. You can do some spray watchin’ like our filmmaker friend Mark Jeremias. 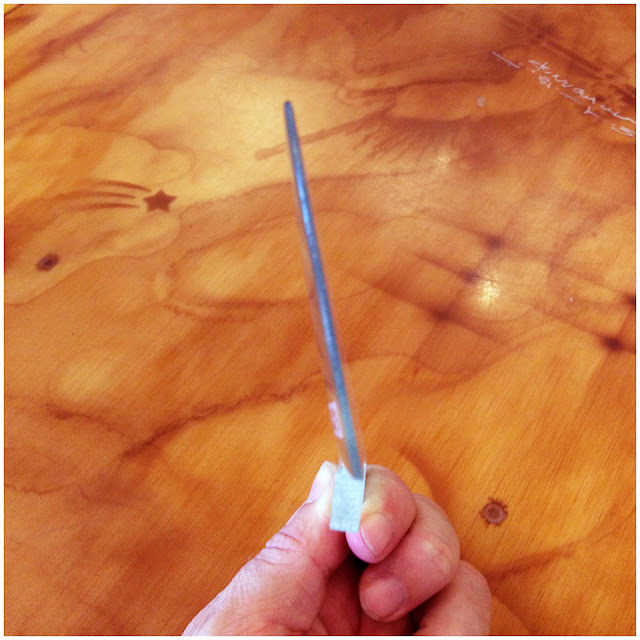 The sacred angle is built into the fin.